A concave mirror is a curved mirror that bulges inward. Objects reflected in concave mirrors often appear bigger than they really are, although the specifics of how the image appears depends upon the object's distance from the mirror. Concave mirrors are used in car headlights, in dentist's offices and in makeup mirrors. A mirror is a reflective surface. Light rays bounce off an object to this surface and then are reflected to the viewer's eye, causing him to see a reflected image of the object. There are three types of mirrors: plain, convex and concave. A plain mirror is a flat surface. Light rays reflect off it without bending, generating a mirror image of approximately the same size and shape as the original object. Convex mirrors curve outwardly. Light rays diverge as they reflect off the curve of this mirror; when the rays converge again, the viewer sees an image. Convex mirror images are upright and appear farther away than they really are. Concave mirrors curve inwardly. Light rays diverge off the curve of this mirror. The image may be upside down if the object is too far away. When the object is close to the mirror, it appears right side up and magnified. If you are curious as to how concave mirrors work, get a clean metal spoon. Hold the spoon so the inside of the spoon faces you. Watch your reflection in the spoon. Now get a pencil. Hold the pencil far away from the spoon. Watch as you move it closer to the spoon. The image of the pencil will go from small and upside down to large and upright. Concave mirrors are used in car headlights. These mirrors reflect the light coming from the headlights so that the lights cover a wider area. The mirror is placed across the top of the bulbs so that light rays bounce off the mirror at the point of convergence. 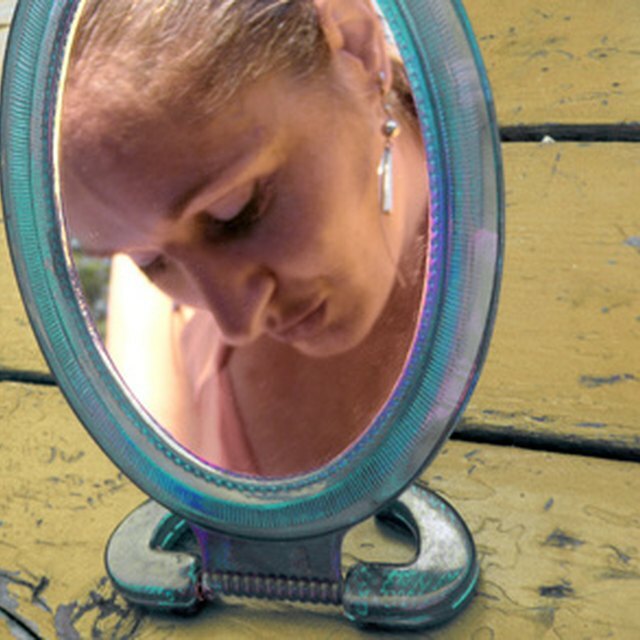 Concave mirrors are also used in makeup or shaving mirrors. When shaving or applying makeup, a person holds the mirror close to her face. This allows her to see an enlarged image of her face, which is helpful for applying makeup or shaving correctly. Concave mirrors are placed at the bottom of microscopes to catch light. Microscope mirrors can be turned in any direction; it is important not to turn the microscope mirror towards the sun or other sources of intense light, as the mirror amplifies the light. A person looking into a microscope whose mirror was tilted towards the sun could be blinded by the intensity of the light. Ori, Jack. "How Are Concave Mirrors Used?" Sciencing, https://sciencing.com/concave-mirrors-used-7238113.html. 24 April 2017.